BOSTON - Wednesday, March 20, 2019 - Mayor Martin J. Walsh and the Mayor's Office of Arts and Culture, in partnership with the Boston Cultural Council (BCC), have awarded 221 Boston arts organizations and projects Boston Cultural Council organizational grants, totaling $487,000. This marks the City's largest ever investment in local arts organizations, and is part of an effort to bring accessible opportunities to engage in the arts throughout the entire City. 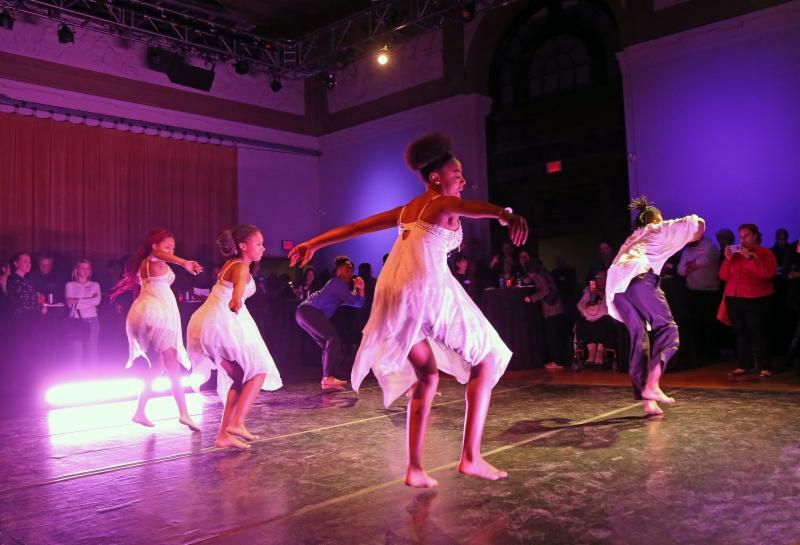 "The organizations that received Boston Cultural Council grants this year demonstrate the enormous power of creative expression, and reflect the cultural vitality of our city," said Mayor Walsh. "I'm eager to see how each organization strengthens Boston's neighborhoods through arts programming in 2019." Grants of up to $5,000 were awarded to organizations in two categories. Organizations with a budget of less than $1 million received general operating support, and organizations with a budget of over $1 million received project-specific support. In order to be eligible for either award, organizations had to either be based in the City of Boston, or offer programming in the City. The City of Boston contributed $300,000 in funding and the Mass Cultural Council (MCC) contributed $187,000 in funding to the BCC. A total of 244 applications were received. Organizations were evaluated on a series of criteria, including diversity of the organization, how well they serve historically represented populations, whether they provide public benefit, and whether they meaningfully reflect the goals and ideas of the Boston Creates cultural plan. "The support of the Boston Cultural Council is very significant to us, as it represents public investment in the diversity of LGBTQ art," said Harold Steward, Interim Executive Director of The Theater Offensive, a 2019 BCC grantee. "It lends credence to our aesthetic of theater that is by, for, and about Boston residents with a goal of building community and understanding among neighbors by amplifying often untold perspectives and unheard voices. We so appreciate the support of the City of Boston investing public funds in programs like ours that directly support community members." The selected organizations represent an array of disciplines, including visual arts, theater, film, music, dance, and the humanities. The number of grantees has increased by 40 this year, with 181 organizations receiving BCC grants in 2018. For a complete list of 2019 grantees, visit here. "Boston is home to so many incredible arts organizations and cultural institutions that work tirelessly to bring opportunities to engage in creative expression to every individual, in every neighborhood," said Chief Kara Elliott-Ortega. "It's great to see Boston provide increased support and resources to these organizations year after year, and witness the impact it has on our local communities." This year, the BCC developed an equity statement and awarded several organizations with an additional Model Equity Organization award of $5,000 in an attempt to further promote cultural, economic, and racial diversity in the arts. The winners of the 2019 Model Equity Organization award were Urbano Project, Arts Connect International, and BAMS Fest. "For ACI the Model Equity Organization award is a beautiful recognition of both the work that we are currently doing, as well as the work that we endeavor to do," said Marian Taylor Brown, Executive Director & Founder of Arts Connect International. "It is particularly significant for us this year as we are running an inaugural Arts Equity Summit March 22nd - 24th where award monies will support the participation of local Artist Fellows attendance. 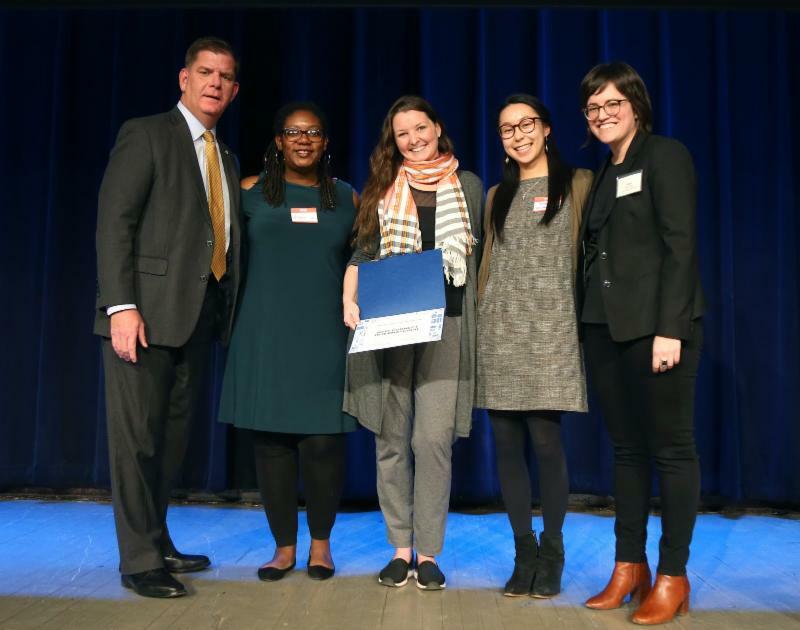 We thank all of the organizations, artists, and individuals who are doing this cultural work around the city, and are especially thankful to the Boston Cultural Council for their leadership in the creation and piloting of this award." A reception was held Monday at MassArt's Pozen Center to congratulate the 2019 grantees. To learn more about the BCC Organizational Grants, visit here. The Mayor's Office of Arts and Culture's mission is to support artists, the cultural sector, and to promote access to the arts for all. The office houses the Boston Cultural Council, the Boston Art Commission, and the Poet Laureate program. Responsibilities include leading up the City's cultural plan, Boston Creates; managing the Boston Artist-in-Residence program; curating exhibitions in City Hall; and operating the historic Strand Theater in Dorchester. For more information, click here. The Boston Cultural Council, under the umbrella of the Mayor's Office of Arts and Culture, annually distributes funds allocated by the Massachusetts Cultural Council, a state agency, to support innovative arts, humanities and interpretive sciences programming that enhances the quality of life in our city. The BCC is comprised of 15 Boston residents appointed by Mayor Martin J. Walsh to serve for up to six years each. The BCC annually reviews applications during a series of fall meetings conducted to evaluate the overall quality of proposed programming and its potential benefit to diverse audience in neighborhoods throughout Boston. For additional information on the Boston Cultural Council, please visit here.